As a brand ambassador for Oriental Trading, I received products to facilitate this post. All opinions are my own. My regular readers know that my daughter is special education teacher. She teaches a 2nd/3rd-grade combo class and just started her third year. I love hearing about “her kids” and the plans she has for the school year. 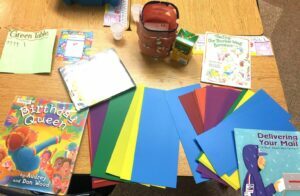 During her first two years, I was pretty shocked to learn how much she was spending out of each paycheck to get the materials and supplies she needed for her classroom. Both of us were thrilled to discover the discount teaching supplies available at Oriental Trading. They have an entire site called Learn 365 dedicated to classroom essentials. I knew that Oriental Trading was a terrific source for party supplies (see my fun fiesta-themed bridal shower) but I had never explored their teacher resources site. 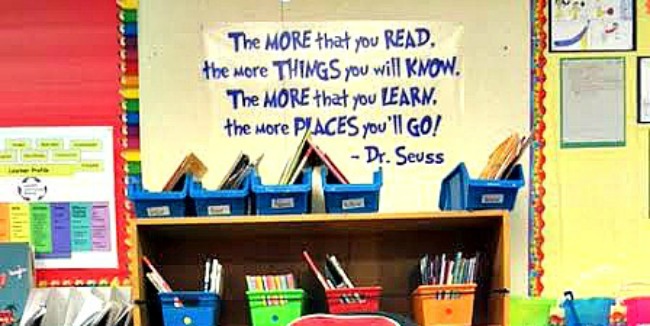 I’ve enjoyed helping my daughter put her classroom together at the start of the school year. We’ve done a mid-year refresh during the Christmas break and changed out bulletin boards and decor to keep things interesting. I now realize that a classroom starts out as a blank canvas and it is up to the teacher to create an environment that is fun and engaging. Learn365 by Oriental Trading has everything a teacher needs to make this happen. The quality is very good and their prices are budget-friendly. 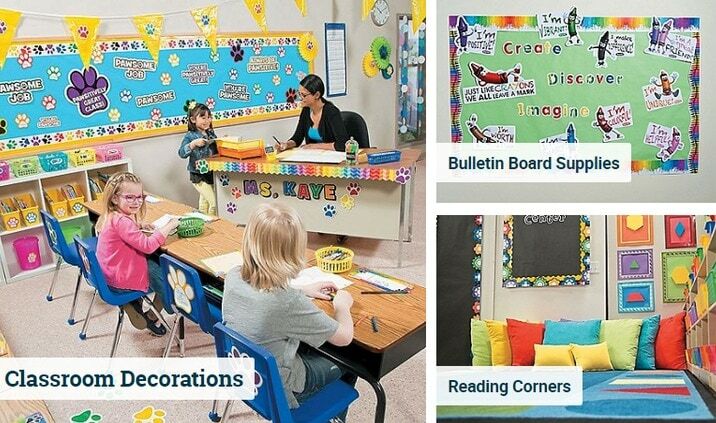 They have traditional school supplies but where they really stand out is providing those classroom items that create a fun and colorful backdrop for learning with bulletin board supplies, door decoration ideas, reading corner ideas, charts, storage, awards, stickers, and incentives, and so much more. Teachers will also find curriculum supplies for active play, dramatic play, language art, math, science, social studies and other subjects. 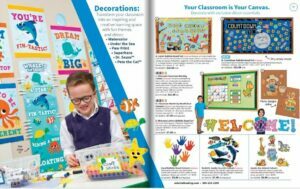 If you are a homeschool teacher, Sunday School teacher, Vacation Bible School teacher, or a parent who wants to create a learning environment at home, be sure and take a look at Learn 365 Oriental Trading. This year, my daughter wanted to have indoor active play supplies for those days when her kids could not play outside. 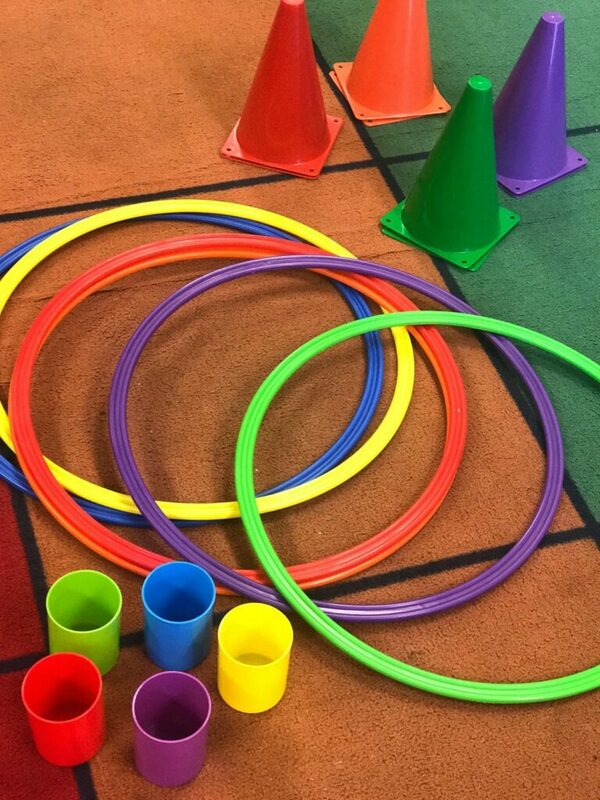 She ordered plastic traffic cones, plastic storage cups, an obstacle course ring set and bean bags. Here is Southern California, outdoor recess is sometimes canceled due to excessive heat or occasional rain, so now she is prepared. I was very impressed with the quality of these items especially given their low prices. 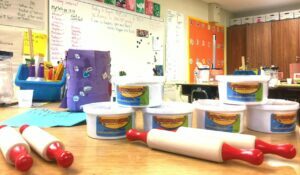 She also wanted to have sensory play items on hand and ordered Alphabet Clay Dough Cutters, Neon Dough, and Wooden Dough Rollers. As you might guess, her kids are loving this activity. 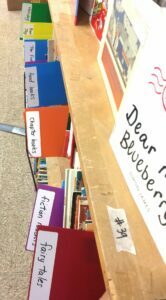 I helped categorize her reading area with library dividers. I wonder how long it will stay organized? Donors Choose: Makes it easy for anyone to help a classroom in need. Teachers all over the U.S. need your help to bring their classroom dreams to life. Choose a project that inspires you and give any amount. 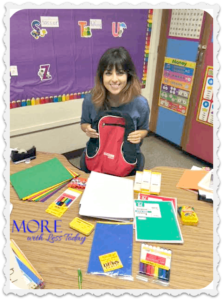 Adopt a Classroom: Their mission is to give teachers a hand and provide needed classroom materials so their students can succeed. Kids in Need Foundation: Partners with 40 locations across the country to help distribute school supplies to kids who would otherwise go without. These organizations support challenged communities where 70% or more of the kids are in a federal nutrition program. Stop and Shop: Open an account and then use your STOP & SHOP CARD number to register, then you can start earning school supplies for any school participating in the program. Box Tops 4 Education: are found on hundreds of product packages and are worth $0.10 for your school. Box Tops Clips must be provided to an enrolled Box Tops for Education School (for submission by the School Coordinator before their expiration date). eScript: Sign up and Support up to 3 schools, register store cards to earn, or register credit/debit cards to earn. Earn automatically when you shop with thousands of merchants that give back. Be sure and check out Learn365 by Oriental Trading. I have been so impressed with their service, selection, and prices. Here is the link to coupons, promo codes and special offers on their website so you can really stretch your dollars. If you are a parent who gives teacher gifts, consider giving a gift card to Oriental Trading for classroom supplies. Even if you can only give a few dollars, I know it would be appreciated. You can order a standard gift card, customize one with a photo or send an eGift Card right away!